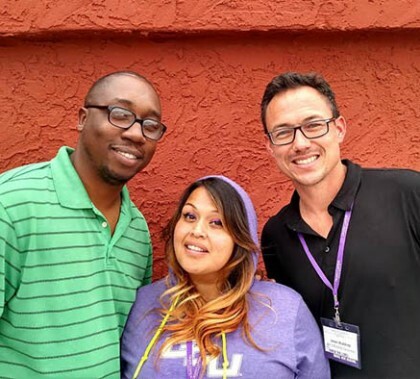 The first residency for the new master of divinity program in the College of Theology was a resounding success as 21 online students from all over the country met in Phoenix to share life stories and build new relationships. Some of the participants were amazed by how the group bonded in such a short time. Photo by Darryl Webb GCU News Bureau Dr. Robert J. Arceci, pictured here with a tiny cancer survivor at the 5th annual GCU Foundation Run to Fight Children’s Cancer last March, died Monday morning from injuries he sustained in a traffic accident in Scottsdale. Arceci was a dedicated and brilliant childhood cancer researcher at Phoenix Children’s Hospital and the inspiration for the “White Cell Rock,” a dance that medical professionals, first responders and others learned and performed to improve the spirits of children with cancer. 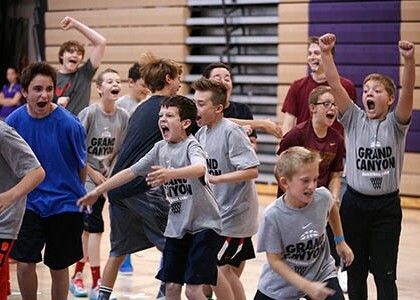 Signups are way up for the summer basketball camps at GCU, but it’s not too late to enroll your kids if they’d like to participate. The camps are filled with all sorts of fun exercises and activities. Teenagers from California and Arizona are enjoying GCU’s first “Summer Dance Intensive,” a residential camp that imparts knowledge and training in a variety of genres and gives students a peek at campus life. Studio time, pool time and pizza time, so far, have not disappointed, and spots remain in next week’s camp. GCU Today has the story. Dance education majors Monique Streety and Nicole Mayes are packing their bags for Durham, N.C., where they will spend most of the summer at the American Dance Festival’s Six Week School on the campus of Duke University. Founded in 1934 in Vermont, the ADF has been called “one of the nation’s most important institutions” by The New York Times. Streety and Mayes, who were encouraged to apply by dance faculty member Leanne Schmidt, say in this GCU Today story that they will soak up all they can and bring it home to share with their classmates. Building 9, that little tan building on the west side of campus, served a number of roles in its nearly 60 years. 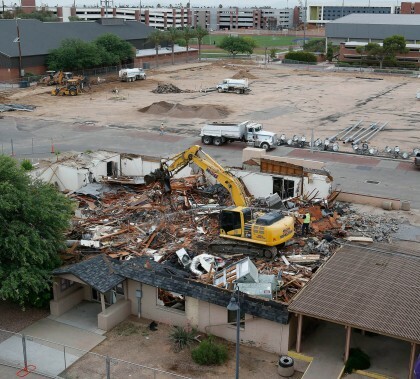 As it’s prepared for demolition to make way for the new soccer stadium, GCU Today takes an “if these walls could talk” look at what life in Building 9 was like and how at one time it was the go-to place for students and faculty alike for one simple reason that tasted oh so good. 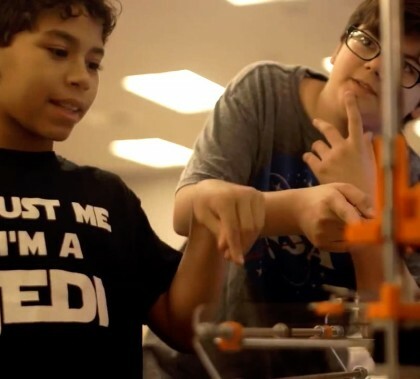 After hosting its STEM Saturdays events this school year, GCU is hosting local students on campus beginning Monday for a series of STEM summer camps designed to expose science-minded young people to the essentials of computer programming, engineering, robotics and other STEM areas. 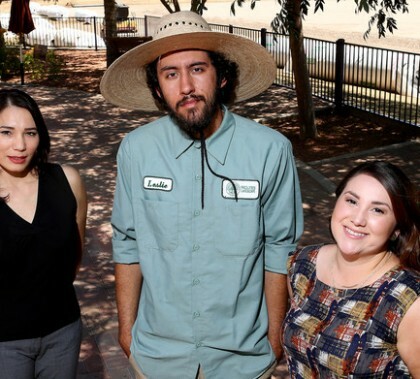 GCU Today has more about the intimate, hands-on, four-day events and their potential impact in the lives of students.